William IV (William Henry; August 21, 1765 – June 20, 1837) was King of the United Kingdom of Great Britain and Ireland and of Hanover from June 26, 1830 until his death. William, the third son of George III and younger brother and successor to George IV, was the last King and penultimate monarch of the House of Hanover. During his youth, he served in the Royal Navy; he was, both during his reign and afterward, nicknamed the "Sailor King." His reign saw the implementation of several reforms: The poor law was updated, the municipal government was democratized, child labor was restricted, and slavery was abolished throughout the British Empire. The most important reform legislation of William IV's reign was the Reform Act of 1832, which refashioned the British electoral system. William did not engage in politics as much as his brother or his father, though he did prove to be the most recent monarch to appoint a Prime Minister contrary to the will of Parliament (He did so in 1834). He gave a liberal constitution to the Kingdom of Hanover, his other kingdom. William had two legitimate children who survived long enough to be christened and therefore named: Princess Charlotte and Princess Elizabeth; both died as infants. He had ten children out of wedlock with Dorothea Jordan, George FitzClarence, 1st Earl of Munster among them. Though nine of his illegitimate children survived him, neither of his legitimate children did so William was succeeded by his niece, Queen Victoria. William was born on August 21, 1765 at Buckingham House, the third child of George III and Queen Charlotte. He had two elder brothers (Prince George, Prince of Wales and Prince Frederick, Duke of York) and was not expected to inherit the crown. He was baptized in the Great Council Chamber of St. James's Palace on September 18, 1765 and his godparents were the Duke of Gloucester, Prince Henry and Princess Augusta Charlotte. At the age of 13, he joined the Royal Navy as a midshipman and was present at the Battle of Cape St. Vincent in 1780. He served in New York during the American War of Independence, becoming the first British monarch-to-be to visit the present United States; each of his successors, excepting Victoria, has done so either before or after accession. While the prince was in America, George Washington approved a plot to kidnap him, writing "The spirit of enterprise so conspicuous in your plan for surprising in their quarters and bringing off the Prince William Henry and Admiral Digby merits applause, and you have my authority to make the attempt in any manner, and at such a time, as your judgment may direct. I am fully persuaded, that it is unnecessary to caution you against offering insult or indignity to the person of the Prince." The plot did not come to fruition; the British found out about the plan and doubled the prince's guard. William became a Lieutenant in 1785 and a Captain the following year. In 1786 he was stationed in the West Indies under Horatio Nelson, who wrote of William, "In his professional line, he is superior to two-thirds, I am sure, of the [Naval] list; and in attention to orders, and respect to his superior officer, I hardly know his equal." He was given command of the frigate HMS Andromeda in 1788, and was promoted to Rear-Admiral in command of HMS Valiant the following year. William sought to be made a Duke like his elder brothers, and to receive a similar Parliamentary grant, but his father was reluctant. To put pressure on him, William threatened to run for the House of Commons for the constituency of Totnes in Devon. Appalled at the prospect of his son making his case to the voters, George III made him Duke of Clarence and St. Andrews and Earl of Munster on May 20, 1789, supposedly saying, "I well know it is one more vote added to the opposition." King George was not far wrong, as the new Duke immediately allied himself publicly with his elder brothers (who were known for their conflict with their father), the Prince of Wales and the Duke of York. The newly created duke ceased his active service in the Royal Navy in 1790. When the United Kingdom declared war on France in 1793, he was anxious to serve his country, but was not put in command of a ship. Instead, he spent time in the House of Lords, where he defended the exorbitant spending of his brother, the Prince of Wales, who had applied to Parliament for a grant for relief of his debts. He also spoke in the abolition of slavery debates (although slavery was not legal in the United Kingdom, it still existed in the British colonies). He used his experience in the West Indies to defend his positions. In 1811 Clarence was appointed Admiral of the Fleet, a strictly honorary position. Despite repeated petitions, he was not given any command throughout the Napoleonic Wars. After he left the Royal Navy, the Duke of Clarence lived for 20 years with an Irish actress, Dorothea Bland, better known by her stage name, Mrs. Jordan. The title "Mrs." was assumed at the start of her stage career to explain an inconvenient pregnancy. 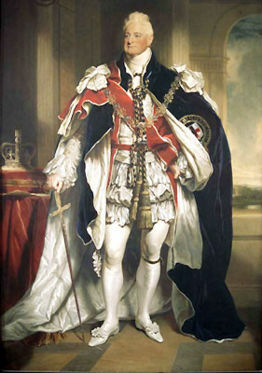 William was part of the first generation to grow to maturity under the Royal Marriages Act of 1772, which forbade descendants of George II from marrying unless they obtained the monarch's consent, or, if over the age of 25, alternatively giving 12 months' notice to the Privy Council. Several of George III's sons, including William, chose to live with the women they loved, rather than seeking to wed. After all, the younger sons, including William, were not expected to figure in the succession, which was considered secure once the Prince of Wales wed and had a daughter. From 1791 on William and Dorothea had ten illegitimate children, five sons and five daughters, who were given the surname "FitzClarence." The affair would last for 20 years before ending in 1811. Mrs. Jordan was given a financial settlement (the generosity of which has been debated) and custody of the daughters, on the condition she did not resume the stage. When she did take up her acting career again, the duke took custody of the daughters. Mrs. Jordan died, impoverished, near Paris in 1816. When Princess Charlotte, Clarence's niece by the Prince Regent, (and second in line to the throne after her father) died in childbirth in 1817, the king was left with 12 children, and no legitimate grandchildren. The race was on among the royal dukes to marry and produce an heir. William had a great advantage in this race. His two older brothers were both childless and estranged from their wives (in any case both women were probably beyond childbearing), so he would almost certainly become king if he lived long enough, which was likely since the former sailor took more care with his health than either older brother. However, William's first choices of brides either met with the disapproval of the Prince Regent or the women turned him down. Princess Anne of Denmark, appalled at William's long liaison with Mrs. Jordan, refused to consider the match. His younger brother, the Duke of Cambridge, was sent to Germany to scout out the available Protestant princesses, and, after coming up with one whom William laughingly turned down when it became clear that the Duke of Cambridge was in love with her himself (and shortly thereafter married her), he came up with one who was amicable, home-loving, and loved children (an important attribute considering William's ten children, several of whom had not yet reached adulthood). At Kew on July 11, 1818, Clarence married Princess Adelaide of Saxe-Meiningen, daughter of the Duke of Saxe-Meiningen, a woman half his age. This marriage, which lasted almost 20 years until William's death, was by all accounts happy. The new duchess took both William and his finances in hand. For their first year of marriage, the couple lived in economical fashion in Germany, William's debts were soon on the way to being paid (especially once he accepted the lower-than-requested allowance increase Parliament had passed for him and his wife), and William is not known to have had mistresses. The major sorrow of the marriage is that they did not have healthy children which would have secured the succession. The couple could only produce two short-lived daughters, and Adelaide had three miscarriages or stillbirths as well. Despite this, rumors that Adelaide was pregnant persisted into William's reign, when they would be dismissed by the king as "damned stuff." Clarence's elder brother, the Prince of Wales, had been Prince Regent since 1811 because of the mental illness of their father, George III. In 1820, the king died, leaving the crown to the prince regent, who became George IV. The Duke of Clarence was now second in the line of succession to the throne, preceded only by his brother Frederick, Duke of York. 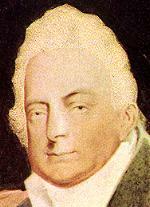 When the Duke of York died in 1827, Clarence, then more than 60 years old, became heir presumptive. Later that year, the incoming prime minister, George Canning, appointed Clarence to the office of Lord High Admiral, which had been in commission (that is, exercised by a board rather than by a single individual) since 1709. While in office, Clarence attempted to take independent control of naval affairs, although the law required him to act, under most circumstances, on the advice of at least two members of his council. The king, through the prime minister, by now Arthur Wellesley, 1st Duke of Wellington, requested his resignation in 1828; the Duke of Clarence complied. Despite the difficulties that the duke experienced, he did considerable good as Lord High Admiral, abolishing the cat o' nine tails for most offenses other than mutiny and requiring regular reports of the condition and preparedness of each ship. He commissioned the first steam warship and advocated for more. William's biographer, Philip Ziegler, points out that holding the office permitted William to make mistakes and learn from them—a process that might have been far more costly had he done so as King. As King, William would maintain his interest in the Royal Navy concerning matters great and small. As a former sailor, William was well aware of the limited headroom on the vessels of the day, and he therefore gave the Royal Navy the privilege of drinking to the sovereign's health sitting down while aboard ship. William spent the remaining time during his brother's reign in the House of Lords. He supported the Catholic Emancipation Bill against the opposition of his brother (and eventual Hanoverian heir), Ernest, Duke of Cumberland, describing the latter's position on the Bill as "infamous," to the younger Duke's outrage. When George IV died in 1830 without any surviving legitimate issue, the Duke of Clarence ascended to the throne, aged 64, as William IV—the oldest person ever to assume the throne. One legend has it that in the early morning, when informed of his brother's passing, he stated his intent was to return to bed, as he had long wished to sleep with a Queen. Unlike his extravagant brother, William was unassuming, discouraging pomp and ceremony. In contrast to George IV, who tended to spend most of his time in Windsor Castle, William was known, especially early in his reign, to walk, unaccompanied, through London or Brighton. Until the Reform Crisis eroded his standing, he was very popular among the people, who saw him as more approachable and down-to-earth than his brother. Upon taking the throne, William did not forget his nine surviving illegitimate children, creating his eldest son Earl of Munster and granting the other children the precedence of a younger son (or daughter) of a Marquess, except where a daughter had attained a higher precedence through marriage (as one daughter had by marrying an Earl). At the time, the death of the monarch required fresh elections and, in the general election of 1830, Wellington's Tories lost to the Whig Party under Charles Grey, 2nd Earl Grey. When he became Prime Minister, Lord Grey immediately announced that he would attempt to reform an electoral system that had seen few changes since the fifteenth century. The inequities in the system were great; for example, large towns such as Manchester and Birmingham elected no members (though they were part of county constituencies), whilst minuscule boroughs such as Old Sarum (with seven voters) elected two members of Parliament each. Often, the small boroughs—also known as rotten boroughs and pocket boroughs—were "owned" by great aristocrats, whose "nominees" would invariably be elected by the constituents—who were, most often, their tenants—especially since the secret ballot was not yet used in Parliamentary elections. As monarch, William IV played an important role in the Reform Crisis. When the House of Commons defeated the First Reform Bill in 1831, Lord Grey's ministry urged an immediate dissolution of Parliament and a new general election. At first, William hesitated to exercise the power to dissolve Parliament, elections having just been held the year before. He was, however, irritated by the conduct of the Opposition, which formally requested the passage of an Address, or resolution, in the House of Lords, against dissolution. Regarding the Opposition's motion as an attack on his power, William IV went in person to the House of Lords, where debate on the Address was raging, and prorogued Parliament. Had he sent commissioners on his behalf, as was (and still is) normally done, they would have had to await the end of the debate, whereas the arrival of the monarch ended all debate. This forced new elections for the House of Commons, which yielded a great victory for the reformers. But although the House of Commons was clearly in favor of parliamentary reform, the House of Lords remained implacably opposed to it. The crisis saw a brief interlude for the celebration of the King's Coronation on 8 September 1831. At first, the King wished to dispense with the coronation entirely, feeling that his wearing the crown while proroguing Parliament answered any need. He was persuaded otherwise by traditionalists. He refused, however, to celebrate the coronation in the expensive way his brother had, dispensing with the banquet, and budgeting less than a tenth of what had been expended ten years previously–and the event was brought in well under budget. When traditionalist Tories threatened to boycott what they called the "Half Crown-nation," the King retorted that they should go ahead, and that he anticipated greater convenience of room and less heat. They did not do so. After the rejection of the Second Reform Bill (1831) by the Upper House, people across the country began to agitate for reform; some grew violent, participating in several "Reform Riots." The nation saw a political crisis greater than any since the Glorious Revolution in 1688. In the face of popular excitement, the Grey ministry refused to accept defeat in the House of Lords, and re-introduced the Bill. It passed easily in the House of Commons, but was once again faced with difficulties in the House of Lords. Bowing to popular pressure, the Lords did not reject the bill outright, but were prepared to change its basic character through amendments. Frustrated by the Lords' recalcitrance, Grey suggested that the King create a sufficient number of new peers to ensure the passage of the Reform Bill. The King objected—he had already created 15 new peers for Grey in his coronation honors—but reluctantly agreed to the creation of the number of peers sufficient "to secure the success of the bill". However, the King, citing the difficulties with a permanent expansion of the Peerage, told Grey that the creations must be restricted to the eldest sons and collateral heirs of existing peers, so that the created peerages would eventually be absorbed as subsidiary titles. Grey and his fellow ministers decided to resign if the King did not agree to an immediate and large creation. In point of fact, Grey had found few peers willing to bear the expense of having their heirs elevated to the peerage during their lifetimes. In any event, the King refused, and accepted their resignations. The King attempted to restore the Duke of Wellington to office, but first heard of an official resolution of the House of Commons requesting Grey's return. On the Duke of Wellington's advice, and after public mass meetings demanding reform, the King agreed to reappoint Grey's ministry, and to create new peers if the House of Lords continued to pose difficulties. Concerned by the threat of the creations, most of the bill's opponents abstained. Consequently, Parliament passed the bill, which became the Reform Act 1832. Parliament proceeded to other reforms, including the abolition of slavery throughout the British Empire and the restriction of child labor, but William IV had little to do with their passage. For the remainder of his reign, William interfered actively in politics only once, in 1834; when he became the last Sovereign to choose a Prime Minister contrary to the will of Parliament. Two years after the passage of the Reform Act of 1832, the ministry had become unpopular and also lost the King's support due to its support for the reform of the Church of Ireland. In 1834, Lord Grey resigned; one of the Whigs in his cabinet, William Lamb, 2nd Viscount Melbourne, replaced him. The Melbourne administration, for the most part, included the same members as the Grey administration; though disliked by many in the country, it retained an overwhelming majority in the House of Commons. Some members of the Government, however, were obnoxious to the King. In October 1834, the Leader of the House of Commons and Chancellor of the Exchequer, John Charles Spencer, Viscount Althorp, inherited a peerage, thus removing him from the House of Commons to the Lords. Because of this, he was forced to relinquish his posts—a member of the House of Lords could, of course, not hold a position in the House of Commons, and traditionally, a member of the Commons was Chancellor of the Exchequer. All agreed that this required a partial reconstruction of the Cabinet, but William IV claimed that the ministry had been weakened beyond repair. He used the removal of Lord Althorp—not from the Government, but from one House to the other—as the pretext for the dismissal of the entire ministry. With Lord Melbourne gone, William IV chose to entrust power to a Tory, Sir Robert Peel. Since Peel was then in Italy, the Duke of Wellington was provisionally appointed Prime Minister. When Peel returned and assumed leadership of the ministry for himself, he saw the impossibility of governing because of the Whig majority in the House of Commons. Consequently, the King dissolved Parliament and forced fresh elections. Although the Tories won more seats than the previous election, they were still in the minority. Peel remained in office for a few months, but resigned after a series of parliamentary defeats. Lord Melbourne was restored to the Prime Minister's office, remaining there for the rest of William's reign. While William was King of Hanover as well as the United Kingdom, he never visited Hanover as King. His brother, the Duke of Cambridge, acted as regent throughout his reign. In 1833 Hanover was given a constitution which gave political power to the middle class, and some limited power to the lower classes. The Constitution also expanded the power of the parliament of Hanover. The constitution was revoked after William's death by the new king, William's brother, HRH Prince Ernest Augustus, Duke of Cumberland on the grounds that his consent, as heir presumptive to the Hanoverian throne, had not been asked. Both the King and Queen were fond of their niece, HRH Princess Victoria of Kent. Their attempts to forge a close relationship with the girl were frustrated by the conflict between the King and the Duchess of Kent, the young princess's mother. The King, angered at what he took to be disrespect from the Duchess to his wife, publicly expressed his hope that he would survive until Princess Victoria was 18—the age at which she would no longer need a regency. He would survive, though mortally ill, to that point, and surpass it by one month. William IV died from heart failure in 1837 in Windsor Castle, where he was buried. As he had no living legitimate issue, the Crown of the United Kingdom passed to Princess Victoria. Under the Salic Law, a woman could not rule Hanover; thus, the Hanoverian Crown went to William IV's brother, HRH Prince Ernest Augustus, Duke of Cumberland. William's death thus ended the personal union of Britain and Hanover, which had persisted since 1714. The main beneficiaries of his will were his eight surviving children by Mrs. Jordan. Although William IV had no legitimate children, and is, therefore, not the direct ancestor of the later monarchs of the United Kingdom, he has many descendants through his illegitimate family with Mrs Jordan, including Conservative leader David Cameron, the TV presenter Adam Hart-Davis, and author and statesman Duff Cooper. William's reign was short, but eventful. The ascendancy of the House of Commons and the corresponding decline of the House of Lords was marked by the Reform Crisis, during which the threat of flooding the Upper House with peers was used effectively for the first time by a ministry. The weakening of the House of Lords continued during the nineteenth century, and culminated during the twentieth century with the passage of the Parliament Act 1911. The same threat which had been used during the Reform Crisis—the threat to flood the House of Lords by creating several new peers—was used to procure the passage of the Parliament Act. The reduction in the influence of the Crown was clearly indicated by the events of William's reign, especially the dismissal of the Melbourne ministry. The crisis relating to Melbourne's dismissal also indicated the reduction in the King's influence with the people. During the reign of George III, the King could have dismissed one ministry, appointed another, dissolved Parliament, and expected the people to vote in favor of the new administration. Such was the result of a dissolution in 1784, after the dismissal of the Coalition Ministry; such was the result of a dissolution in 1807, after the dismissal of William Wyndham Grenville, 1st Baron Grenville. But when William IV dismissed the Melbourne ministry, the Tories under Sir Robert Peel were not able to win the ensuing elections. Thus, the King's ability to influence the opinion of the people, and therefore generally dictate national policy, had been reduced. None of William's successors has attempted to remove a ministry and appoint another against the wishes of Parliament. William understood that the extension of the franchise by the Reform Act had altered the political complexion of the country for ever, and as a constitutional monarch he was powerless to act against the opinion of Parliament. He said, "I have my view of things, and I tell them to my ministers. If they do not adopt them, I cannot help it. I have done my duty." During his reign great reforms were enacted by Parliament including the Factory Act, preventing child labor, the Abolition Act, emancipating slaves in the colonies, and the Poor Law, standardizing provision for the destitute. He attracted criticism from reformers, who felt that reform did not go far enough, and from reactionaries, who felt that reform went too far. One modern interpretation is that he failed to satisfy either political extreme by trying to find compromise between two bitterly opposed factions, but in the process proved himself more capable as a constitutional monarch than many had supposed. William's official style as King was, "William the Fourth, by the Grace of God, of the United Kingdom of Great Britain and Ireland, King, Defender of the Faith". 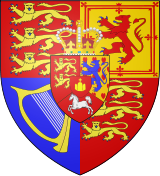 His arms were those of his two kingdoms, the United Kingdom and Hanover, superimposed:- Quarterly, I and IV Gules three lions passant guardant in pale Or (for England); II Or a lion rampant within a tressure flory-counter-flory Gules (for Scotland); III Azure a harp Or stringed Argent (for Ireland); overall an escutcheon tierced per pale and per chevron (for Hanover), I Gules two lions passant guardant Or (for Brunswick), II Or a semy of hearts Gules a lion rampant Azure (for Lüneburg), III Gules a horse courant Argent (for Westfalen), the whole inescutcheon surmounted by a crown. All legitimate issue of William IV were born, and died, before his accession to the throne. They were therefore styled as Prince/ss of Clarence with the style of Royal Highness. ↑ 1.0 1.1 1.2 1.3 The Royal Household, William IV (r. 1830-37), gov.uk. Retrieved June 17, 2008. ↑ 2.0 2.1 2.2 2.3 Mike Ashley. The Mammoth Book of British Kings and Queens. (London: Robinson, 1998, ISBN 1841190969), 686–687. ↑ 3.0 3.1 Alison Weir. Britain's Royal Families: The Complete Genealogy, Revised Edition, (Random House, 1996. ISBN 0712674489), 303–304. ↑ John Van der Kiste. George III's Children. (Stroud: Sutton Publishing Ltd., 1994), 51. ↑ The Times, Monday, July 13, 1818, 3 col. A. ↑ Philip Ziegler. 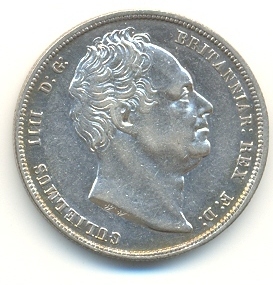 King William IV. (London, Collins, 1971, ISBN 0060147881). ↑ Fulford, Roger. (1967). "William IV". Collier's Encyclopedia 23: p.493. Ashley, Mike. The Mammoth Book of British Kings and Queens. London: Robinson, 1998. ISBN 1841190969. Fulford, Roger. 1967. "William IV." Collier's Encyclopedia Vol. 23: 493. Royal Genealogies Retrieved November 23, 2007. Memoir of His Royal Highness the Duke of Clarence (a contemporary biography) in The Mirror of Literature, Amusement, and Instruction, Supplement to Volume 10, No. 291, December 1827 Retrieved November 23, 2007. Weir, Alison. Britain's Royal Families: The Complete Genealogy, Revised Ed. New York: Random House, 1996, ISBN 0712674489. Ziegler, Philip. King William IV. London, Collins, 1971. ISBN 0060147881. History of "William IV of the United Kingdom"
This page was last modified on 5 August 2013, at 19:40.